Andrew Kemmis Photography – ON DECK 4. SPRING TIME. ON DECK 4. SPRING TIME. Second to last day of the month of March. Officially it is spring here in Montana, but according to the weather, it still wants to be winter. Anyhow, with the inevitable change to spring, there are a few things on the horizon. 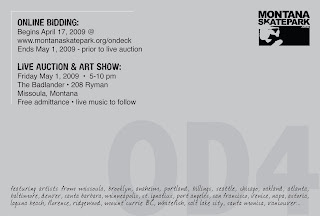 The MSA's 4th annual ON DECK skate art auction, which I help to organize every year, is coming up. It will be held at Dauphine's next to the Badlander on May 1 from 5-10 pm. The online portion of the auction will start on April 17. Check it out at www.montanaskatepark.org/ondeck. 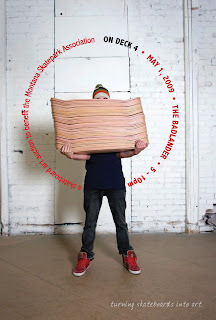 The show will feature over 50 skate decks customized by artists from across the country. I have been photographing all the decks as they come in and there are some beauties this year. You won't want to miss this show. Check out the postcard below. Posters featuring a lot of the decks will be available at the show. I'm designing those too. New website. Yup. Bout damn time. Soon you will see. 2 days after the ON DECK show, I will be taking off for a weeklong float trip on the Smith River. Been wanting to do this every year when my friend Matt asks me to come along, but never seems to jive with my schedule. This year, things fell into place. Possible magazine story could come of it. Ideas are brewing.